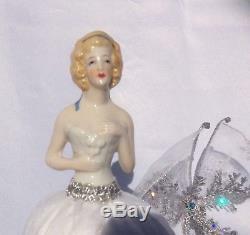 Vintage German Porcelain Half Doll, mold 2814, no any damage. 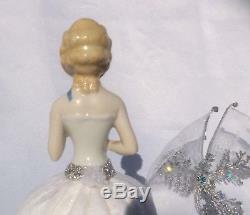 Total height of doll is about 8, the porcelain top is approx 3. 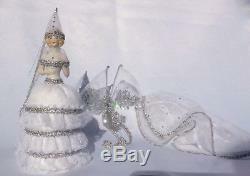 Sparkly silver white Snowflake Fairy outfit had been created to compliment this graceful German half doll and it is one of a kind design, no replicas had been ever made. 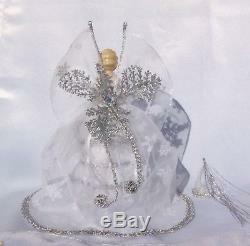 The top skirt, wings, shawl and hat are removable, the doll might be dressed in different ways or redressed completely. 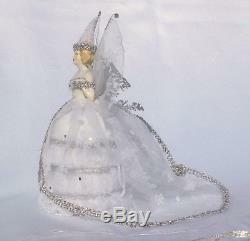 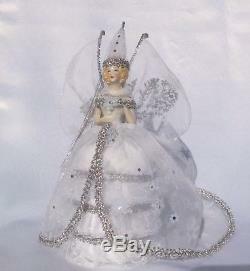 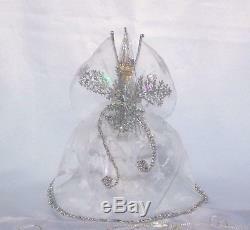 This Snowflake Fairy Doll is part of private show case kept collection, she is clean, dust/odor free, from non smoking house. 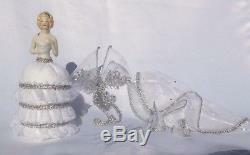 Please feel free to ask questions or more photos. 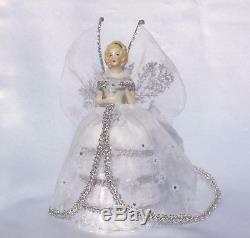 The item "Vtg German Porcelain Half Doll Snowflake Fairy Dress Pincushion Collectible Doll" is in sale since Tuesday, December 11, 2018. 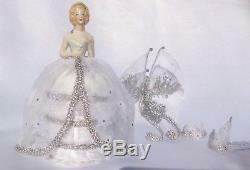 This item is in the category "Antiques\Sewing (Pre-1930)\Pin Cushions". 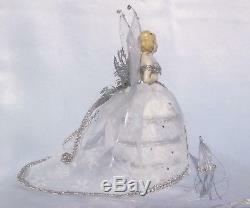 The seller is "colorlines" and is located in Dennisville, New Jersey.